If you simply don’t have the funds, or aren’t to serious about your cigar collecting yet, then you can easily build your own humidor with literally 2 things. The first thing you need is a plastic food storage container preferably one with side clamps on all sides of the lid and a tight seal. Make sure if your container is brand new you wash it out before putting your cigars in it to take away that plastic smell that most new plastic items seem to have. You don’t want to make your cigars taste like plastic. You might already have one of these containers but if you don’t you can probably find something that will work at the Dollar Store. The second thing you will need to get to build your own humidor is called a Bovida pack. 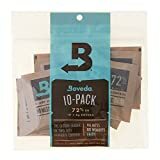 This little packet is used for 2 way humidity control, which means it is designed to regulate the humidity in your plastic container to stay at 72% RH which is perfect for the storage of your cigars. These packs are very cheap and are sold in 10 packs. 1 of these packs could last anywhere from 2 months to a year depending on how frequently you open your humidor. So that means even if each pack lasts you the minimal 2 months you still wouldn’t have to buy more packs for 20 months which is almost 2 years. A couple of optional items for your plastic container humidor would be some broken pieces of Spanish cedar from and old cigar box. If you happen to have an old cigar box around then you can simply break off a few pieces and put it in your humidor. This will help a little with the flavor of your cigars. 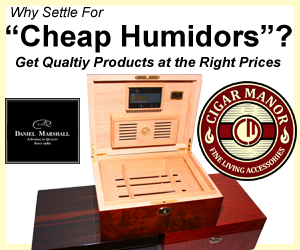 But is not absolutely necessary with this type of humidor. 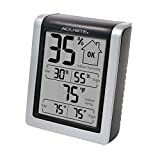 And the other optional item you might want to get is a cheap digital hygrometer to put inside the box just so you will know when its time to switch out your Bovida pack. Below is an example of a nice cheap one you can get on Amazon. And if you didn’t want to order it online they usually have this same one at like Lowes or Home Depot for around the same price. 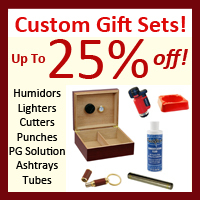 Its literally that simple to build your own humidor, if you need a cheap way to store your cigars. This little plastic homemade humidor will do its job well and keep your cigars fresh for a lot cheaper than buying a real humidor. But for me having a real humidor that is made out of wood and looks beautiful is just another part of the cigar hobby to me. If you should some day decide your ready for a real humidor feel free to read my article on the top 3 best beginner cigar humidors.